Zanzibar celebrated 50 years of independence with tourism on its economic list of items. Looking at tourism as the its main economic business enterprise in upcoming years, the government of Zanzibar has taken on a organized plan focused at bringing in more tourists to this amazing paradise on the Indian Ocean. This archipelago marked its 50 years of self-governance this Sunday, focusing its priorities to promoting tourism plus transport areas in a bid to draw in more visitors to check out its beautiful warm beaches. Just last month, the government of Zanzibar approved a marketing drive. Aiming to improve the islands tourism profile will enable the island to vie with other islands in the Indian Ocean. The “Destination Zanzibar” drive is now being executed by Grassroots Traveler, an island based company found in the renowned Stone Town a historical site. 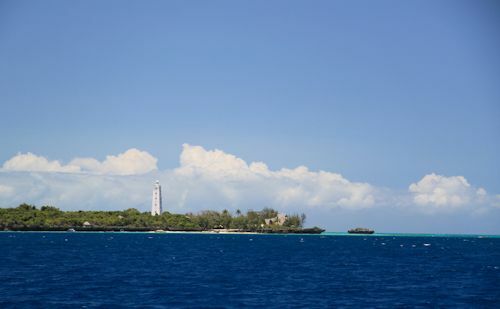 If successful, then, the island will be in position to compete with La Reunion, Seychelles, Mauritius as well as Maldives, the best tourist islands found on the edge of the Indian Ocean. The tourism promotional drive of Zanzibar had to date been unveiled to target the Gulf States via Dubai within the United Arab Emirates that stands a center point for vacationers into East Africa and the edge of the Indian Ocean. The air connection center for Zanzibar is Dubai where majority of the tourists coming to this Island link up their flights through Emirates Airline, the number one air carrier for business travelers and also tourists to Tanzania as well as Zanzibar through Dar es Salaam the capital city of Tanzania. Besides attracting more tourists to its beautiful pristine beaches as well as exotic environment, “Destination Zanzibar” also focuses on showcasing the island as an eco sustainable destination with a number of social events plus experiences which will improve the travel experience. “Destination Zanzibar” aspires to set the island as the finest destination with much more than sand, sun as well as sea and emphasize this one of kind encounters guests can expect. Tourism is the number one revenue source for Zanzibar, earning 72% of its foreign currency as well as 27 % of its yearly Gross Domestic Product. Dr. Ali Mohamed Shein the president of Zanzibar said that his government is currently changing the face of tourism of the island, to make it a lot more attractive to the top-notch holidaymakers traveling from across the planet. So as to make tourism a lot more worthwhile and eco friendly, a number of committees have been created to foresee as well as keep track of the tourism supporting events that would assist to accelerate its development. Zanzibar is aiming to be the number one tourist destination within the Indian Ocean area should the current plans to improve attractions there succeed. Minister Said Ali Mbarouk said that everything was moving on well to obtain the objective, and he moved a motion for legislators to talk and accept a budget for Ministry of Tourism (of US$10 million) in the middle of last year. He said approaches to make Zanzibar the top tourism destination incorporated improving services as well as the working environment for the staff within the tourism commission, and also to advertising abroad. Mbarouk said that they have been enhancing the advertising area, evaluating as well as monitoring service delivery to visitors, gaining knowledge from others through taking part in worldwide exhibitions, potential building for the natives involved in the industry. He added that the instant plan is to go to the Seychelles to also share experience of how they conduct their advertising and also improve tourism attraction places. It is necessary; due to the fact tourism is the island’s priority. Tourism development on the island has greatly been credited by the increase in number of top-notch tourist hotels that are built across the Nungwi beaches, in Stone Town and not long ago, Pemba’s under-water hotel on the twin island. These top-notch hotels plus beach resorts have brought in prominent people such as His Highness the Aga Khan and Bill Gates. As many as 354 hotels plus tourist guest houses, all in all having 7,421 rooms that accommodate 14,076 beds have been in existence on the island since the year 1990 just after tourism development kicked off in Zanzibar. One of the officials informed us that Approximately 13,017 workers are presently employed in Zanzibar’s tourist industry, whilst 45,000 others are working in other industries directly linked to tourism. 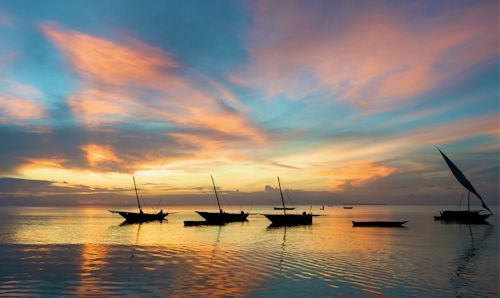 The goal of the government of Zanzibar is to make sure that 50 % of the employees on the island are working under the tourism industry by 2020.